Cosmetics are products used to enhance or alter the appearance of the face or fragrance and texture of the body. It highlights the expression of our physical beauty. But what does it really represent in Africa? More and more, cosmetics are taking a very big place on the African continent. Whether in terms of innovation or economics, cosmetics is needed on the market. No one can do without it, men as women; everyone has a special item or physical issue that requires a treatment. The particularity in Africa is the availability of natural resources that we have in abondance. African cosmetics is therefore based on the use of natural products such as shea butter which is essential (it is noted) in the manufacturing of cosmetics. Cosmetics industry in Africa is no longer lagging behind. Indeed, many good quality “made in Africa” ​​products have been designed in recent years and are marketed all over the world at reasonable prices. Let’s now look at some “made in Africa” ​​brands in order to discover the fundamentals and evolution of this trend. First, big zoom on Origine Terre ( meaning Earth). It was created by Caludia Togbe, owner of Modulux (beauty and spa shop), lover of nature and plants. Origine Terre is a cosmetic brand based on botanical and plant ingredients of the highest quality! 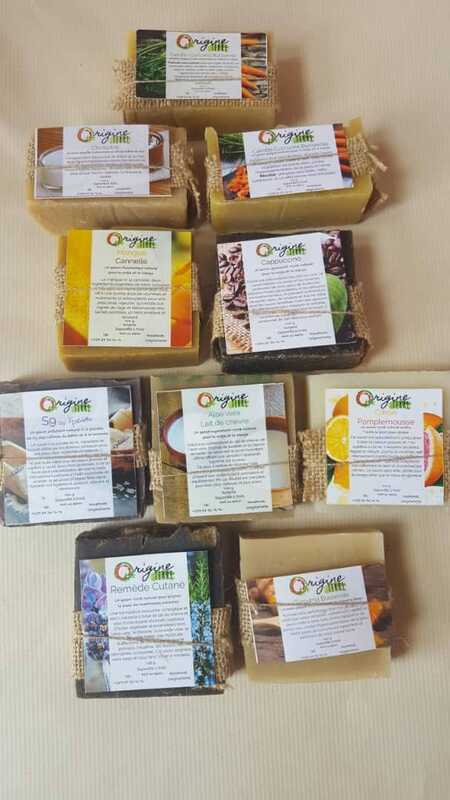 Origine Terre products are perfect for all skin types, including the most sensitive ones. So you have soaps, milks, creams, shampoos, makeup removers, etc., all natural. Did you know that black soap loses all its vitamins and component during its stay on fire? This kills the natural ingredients that should normally nourish the skin. Imported soaps are still not adapted to African skin. How can one use a soap designed for white skin and a different climate and hope for results on a black skin? To answer this question, after several trials and tests in the laboratory. Origine Terre comes out with the answer to suit each skin. Acne, oily, dry skin, normal, and dull skin can all be regulated with the right plants. What is more reassuring than to know what goes on our skin! It is a viral effect, spreading in Africa, the spirit of innovation and the return to nature motivates many young people to take the step. Like the Senegalese brand Adaa Ada, by Ramatoulaye Bocoum Fall with products based on raw materials such as shea, okra or bissap (hibiscus) and today markets a range of 8 hair products. Madlyn Cazalis, the Cameroonian brand of natural cosmetics made in Cameroon. Created by the Cameroonian Christian Ngan. Talowa, is a brand of 100% natural cosmetics made in Ivory Coast. It was created by two passionate young people: the Ivorian Manoli Ekra and the Nigerian Sarah Ferdjani. Thus, in Africa, we have cosmetic products from various countries of the continent and with natural properties to enhance our resources and promote black skin and frizzy hair. Find the products of Origine Terre in Benin, Congo, France, Ohio and Minnesota in the USA. Tell us your experience with bio cosmetics below, and let’s share the good news!